This may seem like the generic answer for many health aliments, but smoking has been linked to an increased risk for macular degeneration. Smokers are up to four times more likely than non-smokers to develop age-related macular degeneration. Smoking can not only damage the eyes, but it wreaks havoc on the body overall. If you need help with quitting smoking, your doctor can offer you lots of resources to help you in your journey. An active lifestyle is often equated to a healthy lifestyle, and this is most definitely true. Not only does staying active help with weight management and keeping our joints in working order, but it also improves our cardiovascular system. The cardiovascular system as we know, is responsible for getting oxygen into our blood, and seeing as our eyes need that vital oxygen, staying active can help in reducing your risk for macular degeneration. 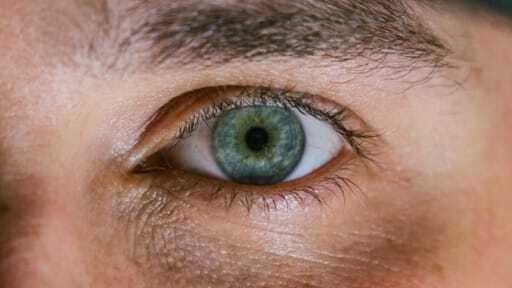 Blood pressure control may be important for macular degeneration prevention. Major studies indicate a significant link between high blood pressure and development of advanced, potentially blinding forms of macular degeneration. The standard American diet isn’t one that is rich in fruits and vegetables and other nutrient dense foods. Ideally getting the bulk of your vitamins and minerals from what you eat is the best way to go, but sometimes taking supplements can help us ensure we’re getting everything we need. Our eyes rely on vitamins like vitamin A, vitamin C, and the Omegas. When we provide our eyes with all the nutrients they need, we can protect their overall health and reduce the risk of macular degeneration. If you aren’t exactly sure which vitamins are best to supplement into your diet, reach out to your eye doctor for some guidance. If you are over 65, your risk for macular degeneration is higher, but there are things that can be done to slow it down and manage it if it is diagnosed early on. Regular eye exams can help your eye doctor detect macular degeneration and monitor it so that you can receive proper treatment. If you have questions about how to reduce your risk of macular degeneration, schedule an appointment with a Valley Eyecare Center doctor today. Call 602-955-2700 or schedule your next appointment online.